Asian Image – the voice of the Asian community – covers Beneath the Surface. 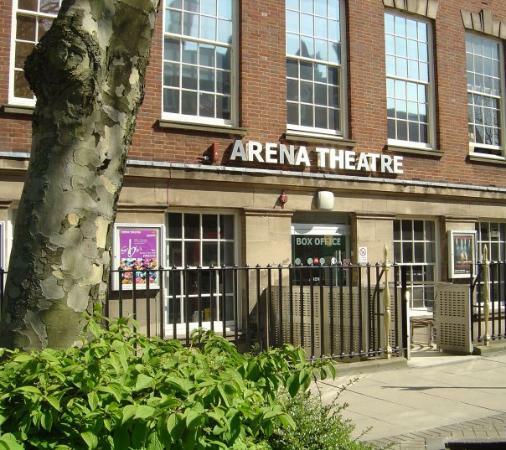 Having done all the interviews and then listened to them all, my team and I met last month on a bright winter morning at the Arena Theatre in Wolverhampton. It was the first time that all four of us – Steve, Kate Carl and I – were together. It felt auspicious. And I can’t thank Kevin O’Sullivan enough for providing us with space at the Arena. When you have few resources, a day or two in-kind goes a long way in my book, giving a project momentum… to become something. After having conducted 6 of the 10 interviews, listened to all 10, and hours of discussion with the team, I felt as though I’d lived the interviews. There was a good cross-section of women and men; from age 19 to late-40s; from the religious to the non-religious; most were born in the UK or at least did most of their growing up here. The geographical spread covered a left – right diagonal from the North West, through the Midlands to London. The ethnic origin of those interviewed covered much of the Subcontinent: Bangladesh, India, Pakistan and Sri Lanka. The themes covered included: bullying, racism, self-identity, role models, desire, self-realisation, love, loss, the ideal of marriage and society’s expectation of you, civil partnerships, split lives between family and the gay self and many more. All interviewees had what I call a farishta (angel) or guardian looking out for them: the friend, cousin, colleague, support group. These people were the rock, the shoulder; sometimes there, other times appearing in their lives at a difficult time. Quite often life has… well, people have, an intuitive ability to survive. Carl, the writer is now busy working up some character monologues based on the interviews and team discussion. I’m looking forward to reading them at the end of this month.